Keele spillen zu Lëtzebuerg mat d’donkel Bloen!!! 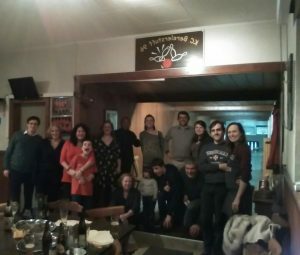 Good fun was had by members of the Cambridge and Oxford Societies at the keelen (“jeu de quilles”) event last Sunday afternoon in the traditional brasserie setting of the Bereler Stuff, together with some tasty tapas in keeping with the “multi-kulti” mixité of Luxembourg. It was rather a close call in the end, with the “Lenke-Bauers” team winning overall, following a tiebreaker knockout round against the “Schicki-Mickis”, and with both the “Mega-Flotters” and “Tipp-Toppers” not so far behind. Thanks to everyone who came along! It won’t be long before we have calls to organise another similar event!! This entry is filed under Events, exPOST. 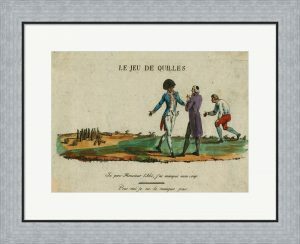 January Social activities: After-work Drinks, and a Jeu de Quilles Event!! You are cordially invited to come along to the PYG Irish pub down in Clausen from 6.30pm onwards on Wednesday, 10 January. It will be a good opportunity for us to get together socially at the beginning of 2018. The address of the PYG is 19, rue de la Tour Jacob. No need to register, just come along after work, or whatever. In line with the Luxembourgish tradition of jeu de quilles, please feel free to come along with spouses, partners, children and friends. As for the jeu de quilles piste hire and accompanying nibbles/tapas we have negotiated a fixed fee of EUR8 per person (not including drinks). Drinks are to be paid individually. If you wish to join us for what has been in such past events both an extremely relaxing and enjoyable time please reply to herve.hansen@googlemail.com, copied to rakeshbhana@cantab.net, by latest 18th January 2018 giving the name(s) of who will be coming along. They will provide details for the payment arrangements.